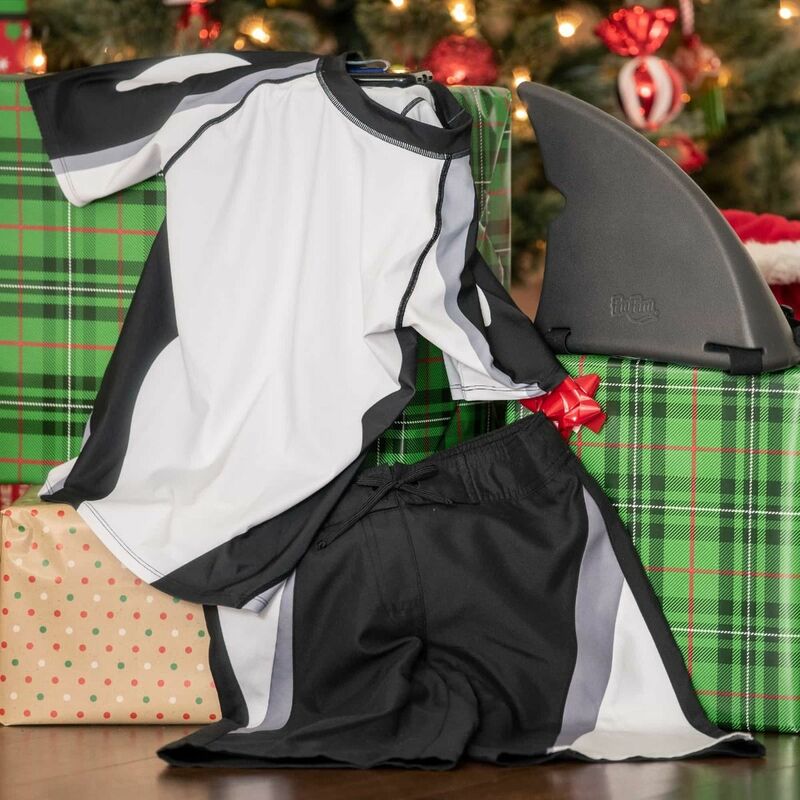 Even creatures of the sea will see you coming through the water in this Orca swimsuit set for kids, featuring a stunning contrast of black and white design, plus our best-selling shark fin! Boys can start prowling the waters dressed in the iconic colors of the killer whale! 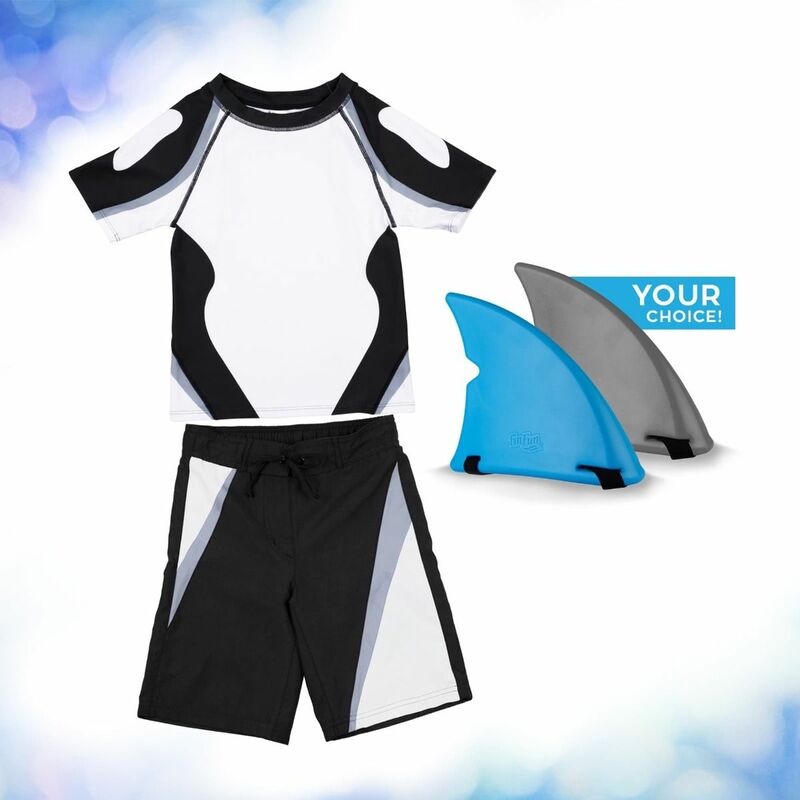 This Orca swimsuit set for boys includes the essentials for a full day of fun. But beware! The unmistakable black and white design may trigger a response of shock and awe at the pool—or perhaps pure enchantment the moment your Orca self comes into view! Add your shark fin to complete one “whale” of a transformation.